Visiting a food bank is often the last resort. So we try to make it as easy as possible and check that you have all you need. The Welcome Centre provides packs of food, toiletries, bedding, household items, pet food and small electricals. It’s important to us that our packs suit the needs of the individual or families receiving them. Our food packs are nutritious and contain a variety of foods. 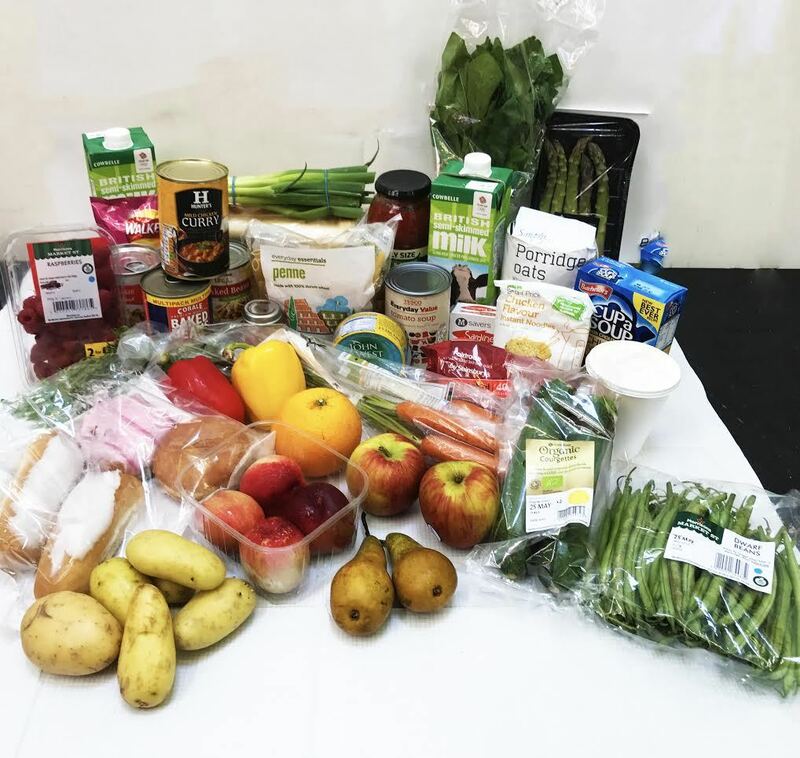 These include tinned and packet foods alongside fresh fruit and vegetables, bread, meat or vegetarian options. You'll have enough food for 7 days which will make a variety of filling meals. An example of a single food pack. 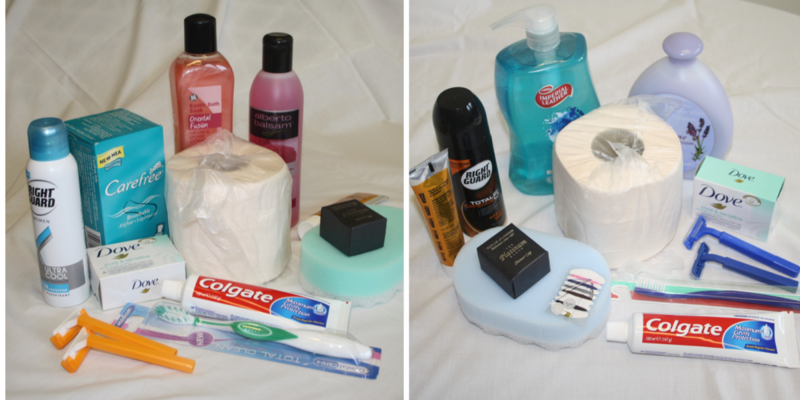 Individual or family sized toiletry packs are available. 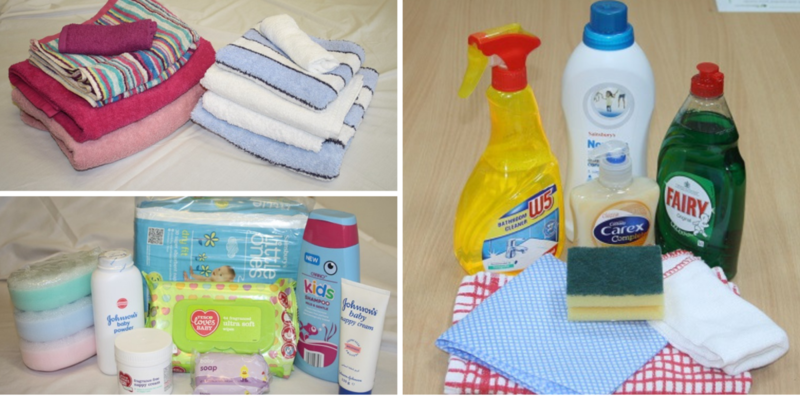 We want these packs to provide everything needed to maintain dignity and cleanliness. They can vary dependent on what stock is available. Moved in to a new tenancy and nothing to cook with? These packs are just the thing. They contain all the basic kitchenware needed to cook the food in our packs. Packs provide enough items dependant on family size. Additional packs such as bedding, towels, cleaning items, pet food, and baby products are available. Bedding packs include duvet, covers and pillows.